Championship Predictions: Cardiff to get promoted to Premier League? Derby County to stay in play-offs? It’s a last Championship gameweek before the play-offs, all games will be played on Sunday, and there are still things that can be changed in play-offs and relegation zone. Bolton, Burton and Barnsley are all fighting for survival, while Preston is looking to take the last play-off spot from Derby County. A lot of important games will be played on Sunday, and although it’s a bit sad that this Championship season is over, it will be exciting to see how it will all end. 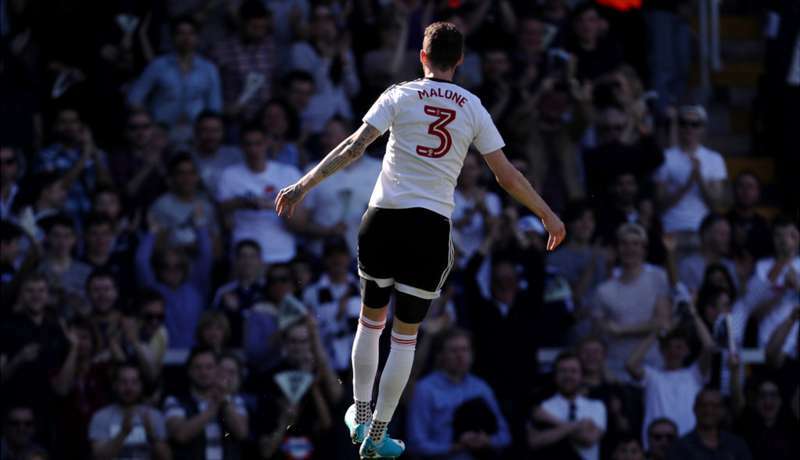 This game is the last hope for Fulham, but sadly, they depend on Reading, and because of that, I don’t think that Fulham will get a straight promotion this season. However, they still need a win and I am expecting quite an open game from this one. Birmingham is playing an attacking football, they need at least a point to stay in Championship, but it will be hard to get it against Fulham. The biggest problem for Birmingham will be possession; it’s hard to get it against the side that’s dominating possession this season. So, I am expecting both teams to score, but Fulham has been a better side throughout the season, and they are having a better chance to win this one too. Bolton is in awkward position, they have an easiest game from all of their relegation rivals, but if Burton or Barnsley gets a win, they will still get relegated. Luckily for them, Burton will play against Preston, while Barnsley is playing against Derby County. Bolton has been good at home this season, they have 8 wins in their 22 home matches so far, and game against Nottingham Forest should be an easy one for them. 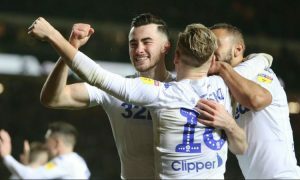 Considering the fact that they are fighting for survival, Bolton will certainly be more motivated than Nottingham Forest, and a win from them should be expected. Now, these two clubs have finished their seasons already, but I am expecting quite an entertaining game. Both teams will play without pressure and both teams can score a lot of goals on their day. Hull will maybe try to organize their defence better while Brentford will fight to finish 7th. As I sad, this should be an interesting game with a lot of goals on both sides, but considering the fact that they are playing at home and that they will play without pressure, Brentford is having a better chance of winning. Few months ago, these two clubs were fighting for a straight promotion; this season has been excellent for both of them. Bristol City had an amazing run in Carabao Cup, while Sheffield United has been in play-offs throughout the most of the season. 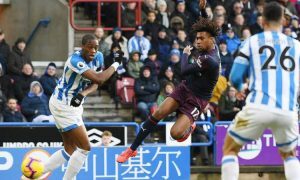 It seems that this game will be the biggest opportunity for Bobby Reid, as he might finish this season as a Championship top scorer, and considering a fact that both teams are better in attack than they are in defence, there can easily be a lot of goals on both sides. Here’s the big one. Although Cardiff should easily win this one, there is a lot of pressure on them, and we’ll see if they can handle it. 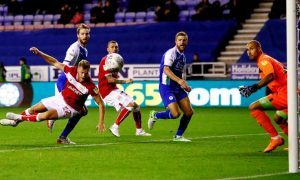 Reading is still fighting for survival and with a point they will be safe, but they are simply not good enough to win an away game against Cardiff. Aron Gunnarsson is injured, and that might be a big blow for Cardiff, but considering the fact that they have one of the best defenses in Championship, all they have to do is to score on Sunday. Kenneth Zohore has been excellent for Cardiff this season, and with him up front, it will be hard for Reading’s defence to keep Cardiff from scoring. Derby needs at least a point, their goal difference is better than Preston’s, but Barsley is still fighting for survival and they need a win. This would be a tough one. Derby is conceding a lot lately, and it looks like they don’t have enough confidence to play under pressure. Barnsley will probably try to defend and get their chances from a counter. I am expecting both teams to score, but with players like Matej Vydra, Derby County is having a better chance of winning. One point is enough for Middlesbrough to secure their 5th place. They will probably go for a win, because they are certainly a better side than Ipswich, but I would expect them to experiment with a squad a little. Players like Fabio, Marvin Johnson and Lewis Baker might get a chance to start on Sunday. They are all quality players, and even with them in a starting 11, Middlesbrough is still having a better chance of winning, considering a form that Ipswich is in. Both of these clubs had awful seasons, but Leeds had a tragic one. They could’ve been in play-offs, and now they are a midtable team competing with QPR. For me, this shouldn’t be an entertaining game, Paul Heckingbottom will try with his counter attacking style once again, and QPR is quite awful when it comes to an away performance. It wouldn’t be a big surprise if both teams manage to keep a clean sheet. Millwall has lost two games in a row, and now they will fight for a win in their last game at home this season. It has been magnificent season for them, they could’ve easily got into play-offs, but Fulham and Middlesbrough were on their way. 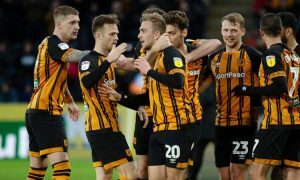 Steve Bruce will probably rest his key players as they need to stay fit for play-offs, so Millwall can play this one without pressure, and considering their form at home, they are certainly having a better chance of winning. Here we have another game that should bring us a lot of entertainment and excitement. Burton is great when it comes to an away performance, they need a win in order to stay in Championship and they have been in good form lately. Preston, on the other side, is waiting for Derby to lose, so they can take their play-off spot and maybe play in Premier League next season. It would be truly amazing if Burton manages to survive, I expect them to continue fighting, but I don’t think that they are good enough to compete with Preston. Another unimportant match in this last Championship gameweek will be played in Sheffield. Sheffield Wednesday will meet Norwich as both sides will look to finish they seasons as best as they can. Sheffield Wednesday is good at home, while Norwich is great when it comes to an away performance. Both clubs will play without pressure and both clubs will probably score, but for me, Norwich is having a better squad, with players like James Maddison and Nelson Oliveira, Norwich is having a better chance of winning. Sunderland is having new owners, and their decision to sack Chris Coleman was an awful one. They won’t get a better manager that will stay with them in League One, he’s been loyal to them and he got the best from a squad that has already been in League One when he arrived. 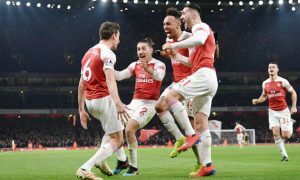 In a game against Wolves they will play without pressure, but their awful record at home this season is not something that can be changed against the best team in the league.